Tia Blanco might be just 17 years old, but the girl has the scoop on healthy living. The pro surfer holds top rankings in numerous prestigious divisions, all while sticking to a vegan lifestyle and maintaining perfect grades. Although her chosen sport is a terrific workout on its own (and don’t I know it! ), she’s a smarty outside the classroom, too, and uses a variety of workouts to keep her fit, like SUP (woot! ), tumbling, running and yoga. “Surfing involves lots of balance and core strength, and yoga also helps me stretch out my muscles,” Tia tells us. Want to get in shape so you can crush a gnarly wave, but don’t have a beach near you? No sweat. 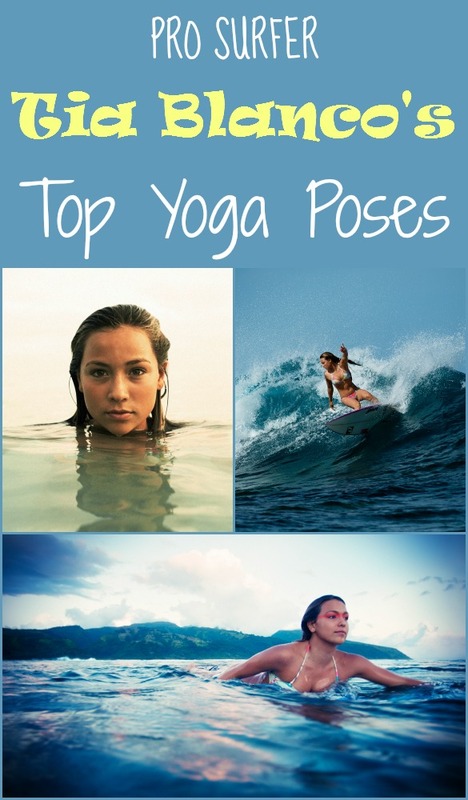 Tia shared a few of her favorite yoga poses that you can do at home!